With pre-season testing preparations being finalised and targets being drawn up for the 2019 MotoGP world championship, Crash.net looks over what key objectives each manufacturer will be desperate to get right. While reflecting on the 2018 season in Valencia during the team managers’ press conference, each MotoGP manufacturer head hinted at what would be prioritised over the winter and moving into the new season. 2019 may provide one of the biggest shake-ups in terms of team and rider formations, with only two teams retaining the same line-up from last year, but each manufacturer will aim to retain positives from the previous campaign to provide momentum into the new season. Here’s a breakdown of each MotoGP manufacturer and its biggest targets for 2019. With Dani Pedrosa out of the Repsol Honda fold a new face occupies his side of the garage for the first time in 13 years in the shape of five-time world champion Jorge Lorenzo. If the shock signing of 2018 is fruitful for Lorenzo and Honda, making Ducati live to regret axing the Spaniard, it could hinge on how he adapts to life as teammate to reigning MotoGP world champion Marc Marquez. Lorenzo’s track record with big-hitting MotoGP team-mates has mixed results, most famously at Yamaha in 2010 when he dethroned Valentino Rossi and a wall was built in the team garage, while relations turned sour towards the end of his Ducati partnership next to Andrea Dovizioso. Both Marquez and Lorenzo have also had their share of run-ins as rivals at different teams, as recently as Aragon when Lorenzo pinned the blame on his Marquez’s aggressive tactics which triggered his first corner crash, and watching the dynamic develop inside the Repsol Honda box will be one of the highlights of the 2019 MotoGP campaign. Repsol Honda team manager Alberto Puig will be tasked with keeping both riders in check and remains steadfast in his faith in the Marquez-Lorenzo partnership, with 12 world titles between them, as being Honda’s best formation for the future. “When we looked at the situation we saw he was free so we decided to go for it,” Puig said. “I was a little bit surprised that he was not contacted or had a real chance to stay [at Ducati]. While Pedrosa appeared to eventually accept his second-fiddle status to Marquez over his final couple of years at the team, Lorenzo’s record and mindset will remain fierce and uncompromising next to Marquez. If Honda can make it a happy marriage it could become one of the strongest partnerships in MotoGP history. Given the high rate of problems Ducati suffered so early into 2018 the team seemed to accept its hopes of a first MotoGP world title for over a decade were over by the summer with focus shifting to its 2019 contender earlier than its rivals. At post-season testing the Ducati GP19 certainly looked the furthest along in terms of being race-ready, showing off a few technical tricks, while a more constructive and stable line-up of Andrea Dovizioso and Danilo Petrucci is expected to make the Italian squad more harmonious. Ducati Sporting Director Paolo Ciabatti remains confident all pieces of the puzzle are there but need putting together without repeating errors made last year. “We made a few mistakes throughout the season and we were not at a competitive level that we expected at the start of the season and then had a few more crashes that didn’t put us in the position for the championship win,” he said in Valencia. The competitive environment at Ducati, including the Pramac Ducati duo of Jack Miller and Francesco Bagnaia, will also keep pressure on all parties to perform for fear of being dropped. 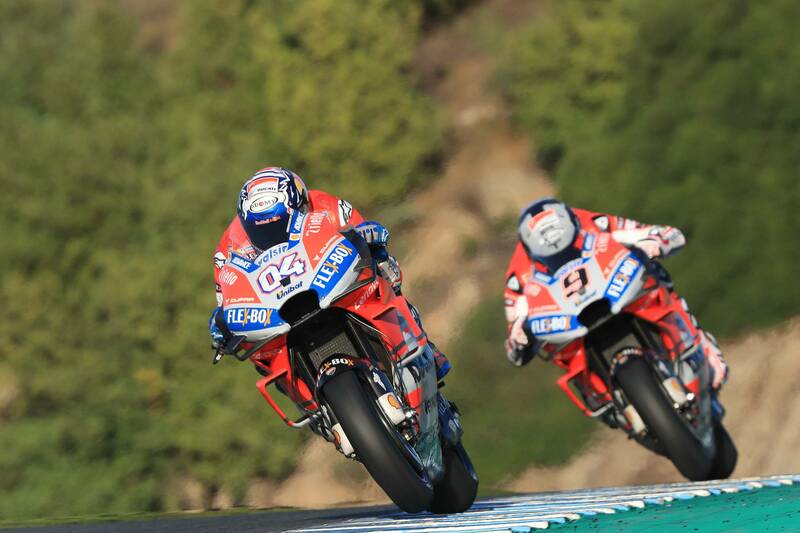 Most of the scrutiny is likely to fall on Petrucci given his debut factory status position for 2019, while Dovizioso will be expected to lead a title charge after two consecutive runner-up campaigns.